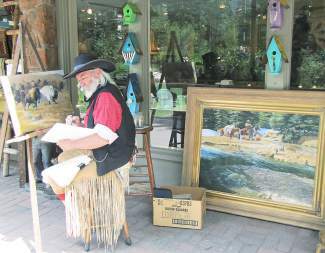 Colorado oil painter Dan Deuter will be painting live Aug. 28 at Cogswell Gallery from 10 a.m. to 4 p.m. Deuter is nationally recognized for combining his personal experience with historical research to create genuine Western scense. Cogswell Gallery is located at 223 Gore Creek Drive in Vail Village. For more information, call 970-476-1769 or visit cogswellgallery.com.